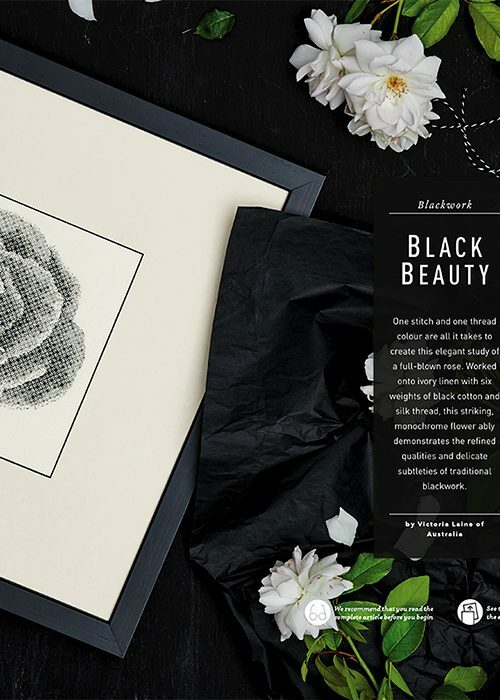 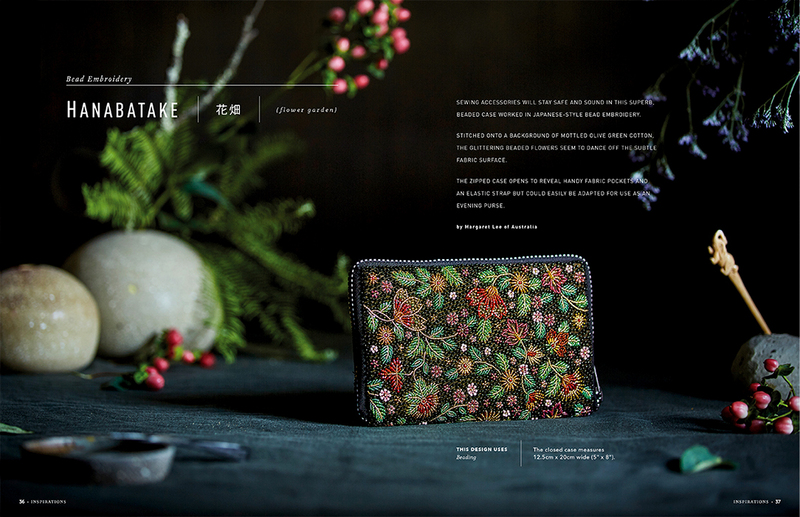 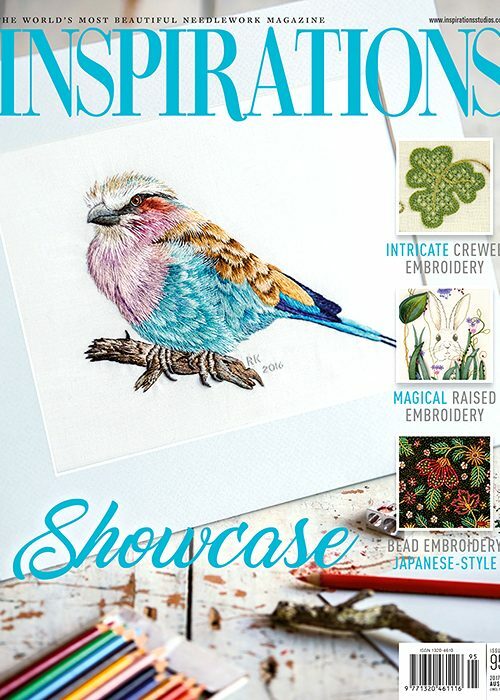 An eclectic mix of embroidery techniques including Japanese-style beading, blackwork, stumpwork, threadpainting and crewel embroidery. 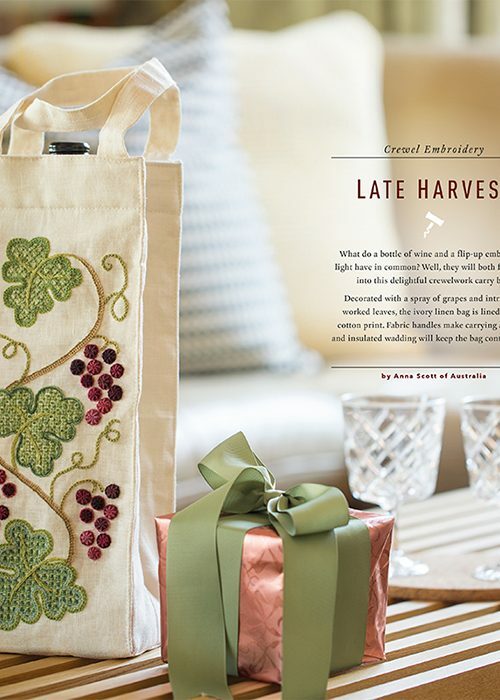 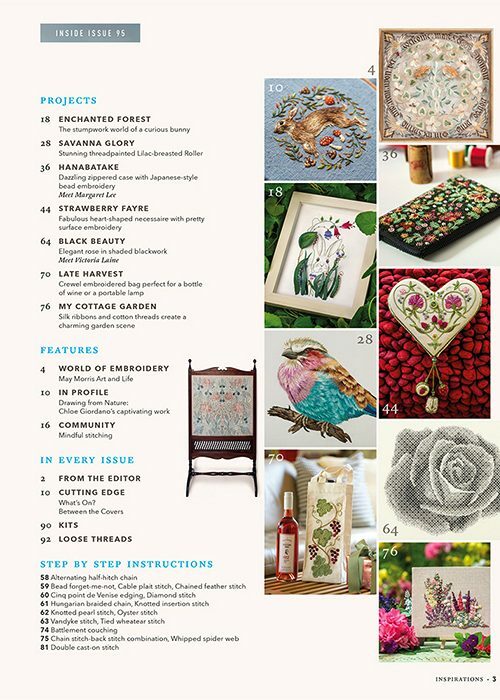 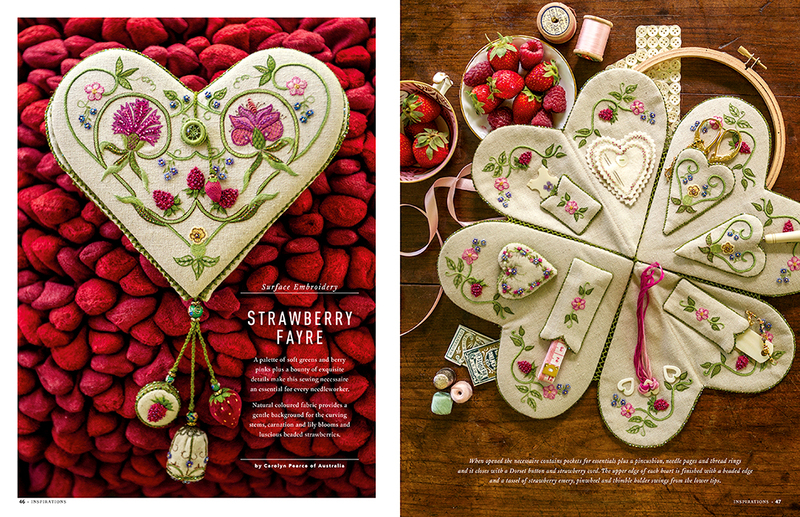 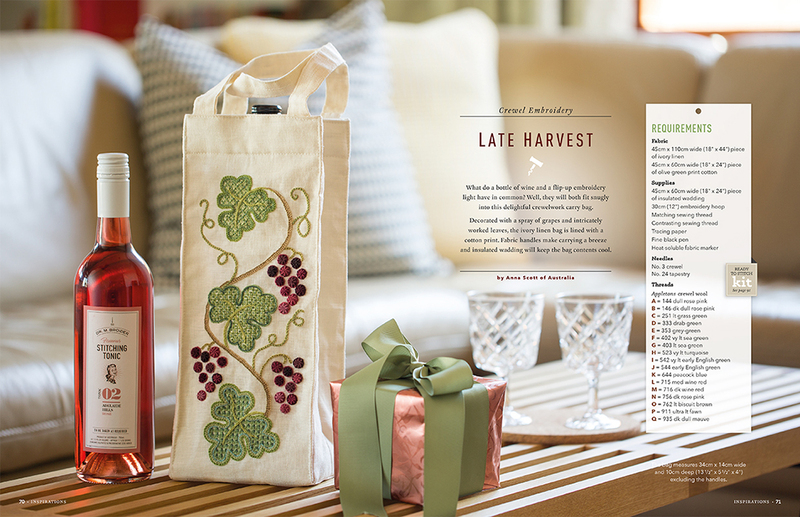 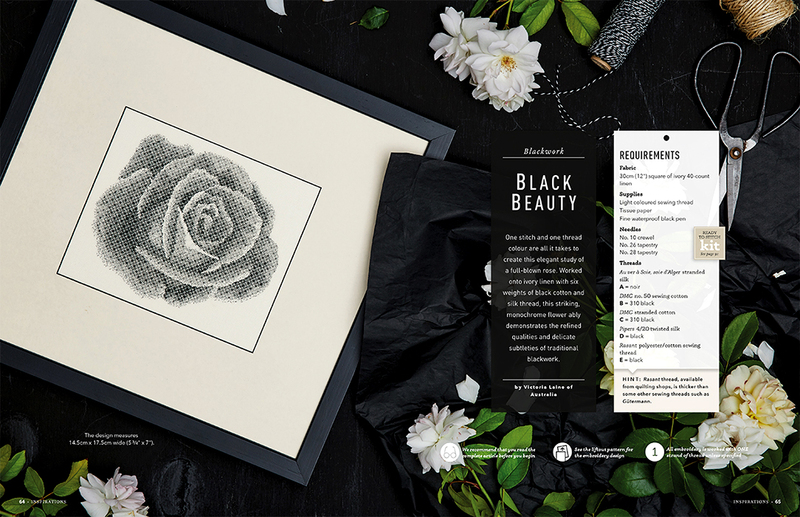 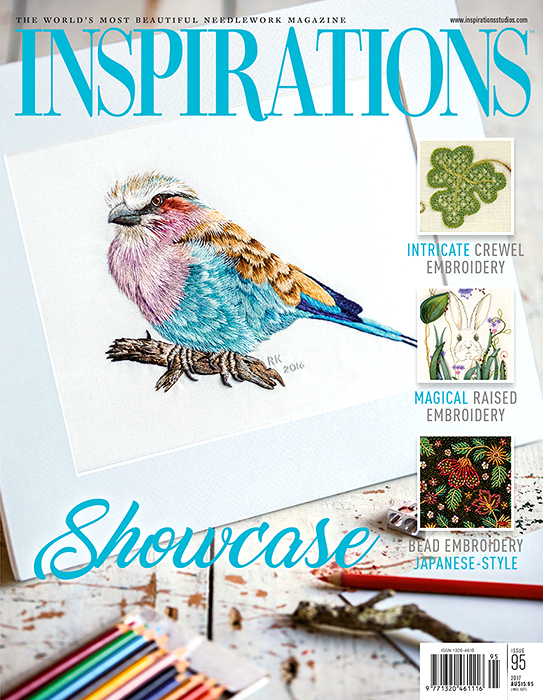 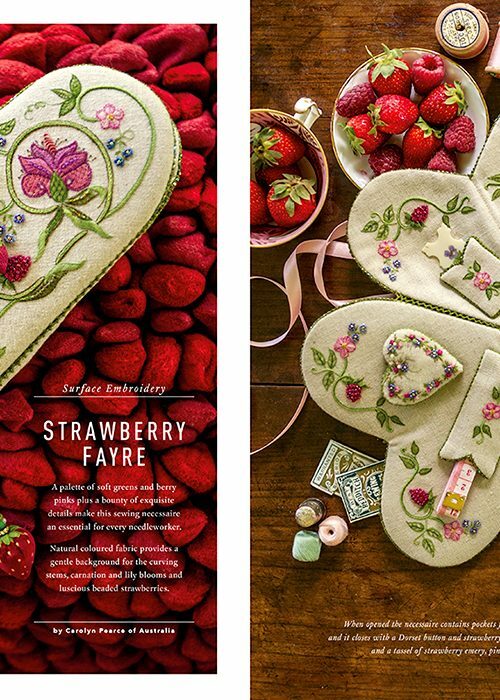 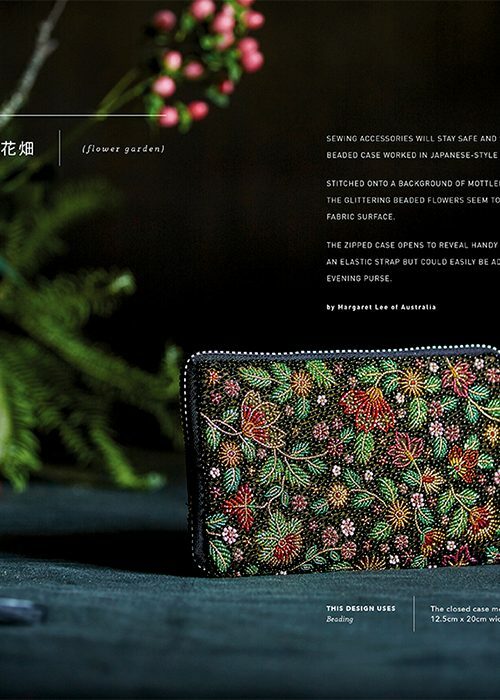 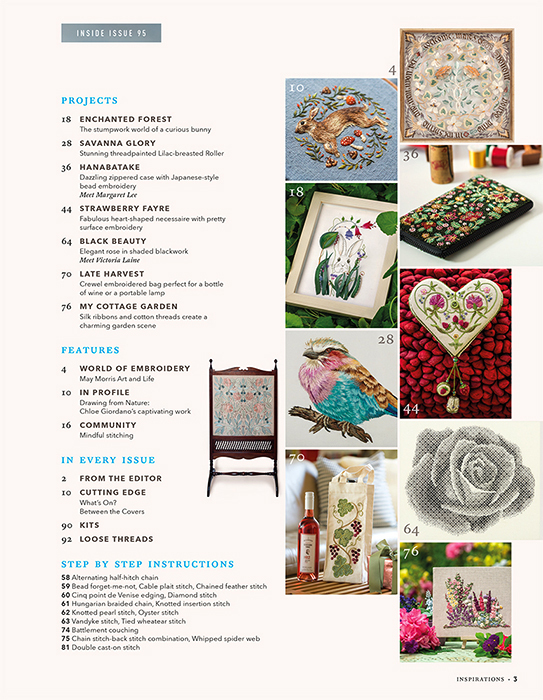 Inspirations issue 95 showcases an eclectic mix of embroidery techniques including Japanese-style beading, blackwork, stumpwork, threadpainting and crewel embroidery. 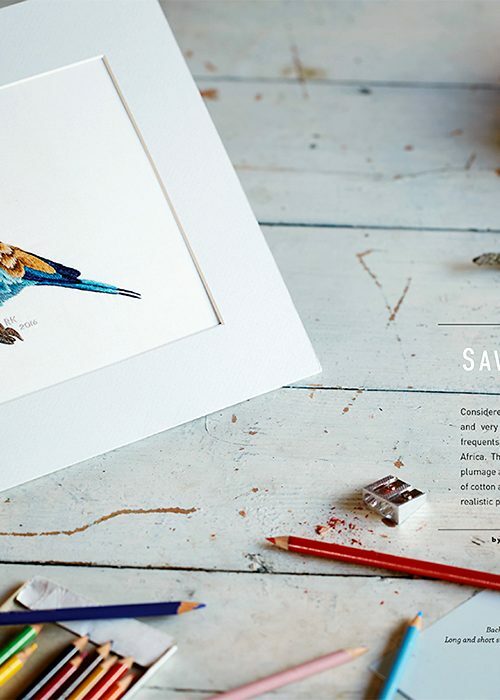 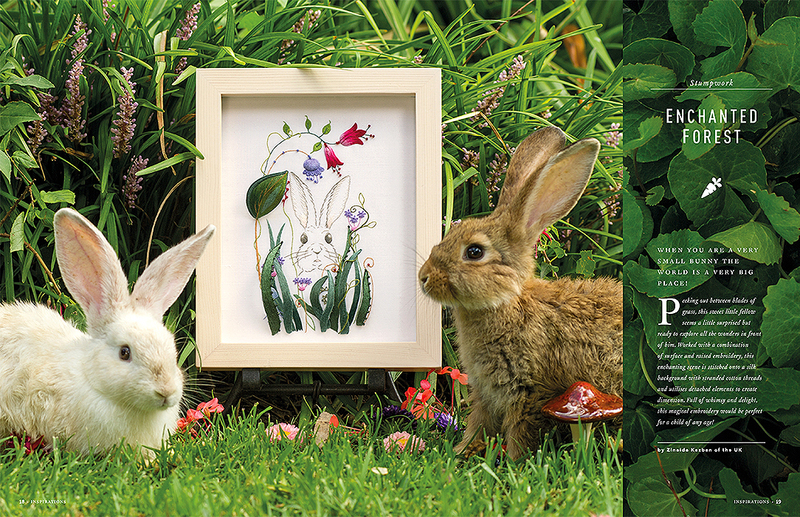 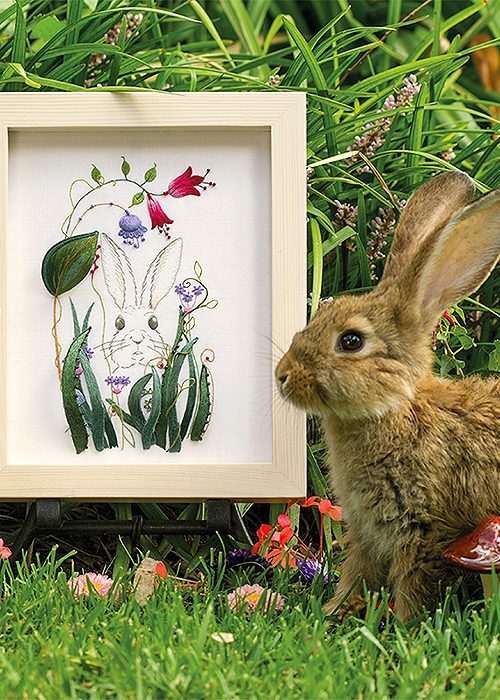 We also feature the winning entry from our needlework competition – a captured moment in a meadow garden. 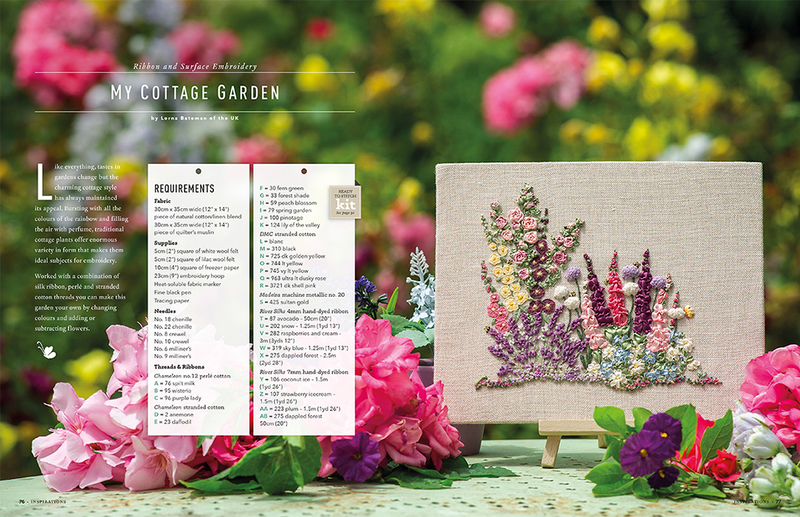 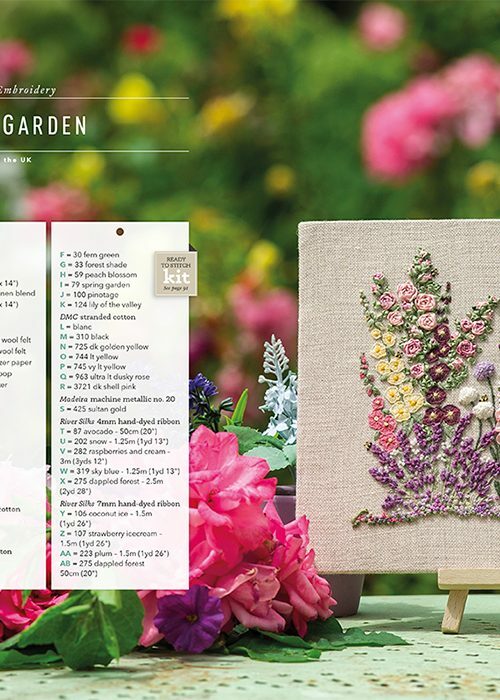 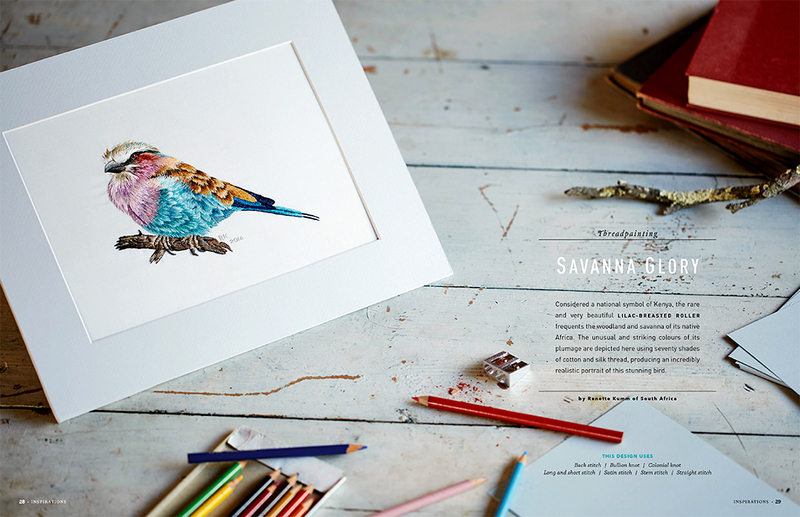 Enjoy the visual feast of fabulous close-up photos of each project along with detailed sequences of stitches making each design accessible to beginner and experienced stitchers.